Keep going! Don't miss a step! 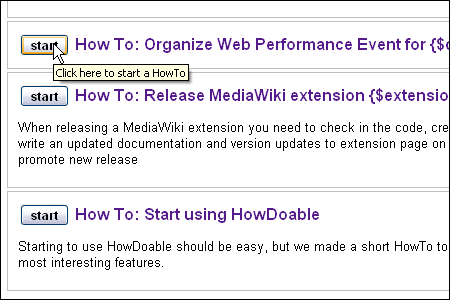 HowDoable helps you create step-by-step How-Tos which you or your coworkers can reuse over and over again. It can help you keep the process consistent for any task you do on a regular basis. Organizing your daily routine and less frequent tasks that you work on from time to time into simple checklists or How-Tos how we call them, will help you always remember what you need to do so you never miss an important step. This can be blogging made better by not forgetting to write a good title or sharing the link with Twitter and Facebook friends. Or it can be your Etsy or eBay sale that benefits from good pictures, template and well thought out keywords. Everything we do can use a little more attention to detail for. We already know these details, we just can't remember them all when we need them. Every time you need to repeat something you already did before only requires one click and all steps needed to accomplish the goal will be added to your To-Do list. Starting another task is as easy as clicking "start" button again. Two events, three, four - doesn't matter now, you don't need to list all those things over and over again, you alredy did have a checklist to follow. All you need to create a task is to name it. 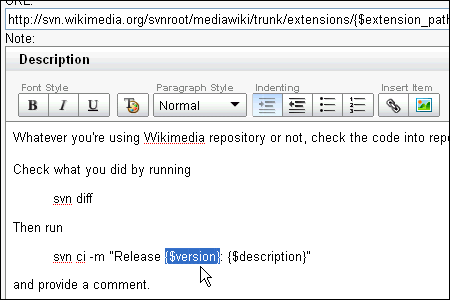 You can also add description if you or somebody else who's going to do the work needs more explanation. 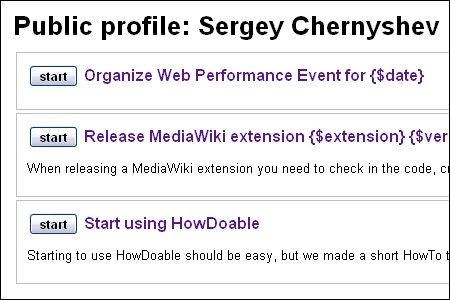 What HowDoable provides beyond that it unique ability to add link URLs to tasks making on-line work that much easier with one click away to another web site, input form, search or content sharing tool. Repeating things that you do often is made easy with HowDoable, but not every task is the same over and over again - some details are always different. Whatever it is a date of en event or title of the video or a link to a blog post, they are new every time. 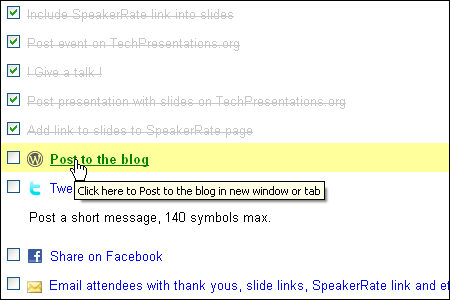 In HowDoable you can use templates variables to define parts of the title, description or even a link to another page. 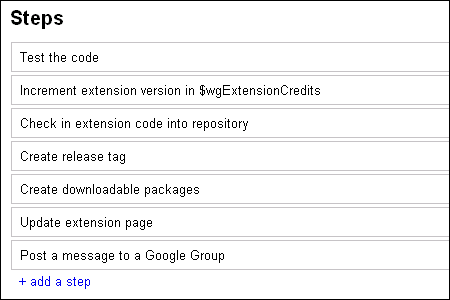 It will help you automatically customize an email boilerplate, or a link to another service. We already have a collection of predefined tasks for popular sharing services like Twitter or Facebook, search engines and other on-line tools and this collection is growing every day so you can add a task with parameters without knowing much about variables. When creating a How-To you can choose to keep it private or to share it with outhers. This way you can spread the knowledge of all those minor details that make a difference between just work and brilliant work. Your public profile will be listing all public How-Tos that you created so others can see the value you added to the world. You can easily share this single link to show all the things that can be done better.